Free-to-air satellite TV providers Freesat have announced their plans to integrate a new catch-up TV service into their platform, releasing ‘< free time >’ as their oddly-named attempt at allowing viewers to watch what they have missed. The satellite-signal set-top boxes will now enable a connected ‘smart TV guide’, which provide a chance to look backwards in the TV listings (just like YouView) for up to 8 days previously for supported channels, simply hitting ‘play’ on a backdated show to watch it through the relevant UK ‘catch-up’ platform. Noted as the first satellite TV provider to offer such a service, the method could open up a whole new approach to the sometimes limited world of catch-up TV (and provide innovative competition to the recently-released YouView platform), although it will require the use of a ‘next-generation’ Freesat+ box, set to cost prices starting at £279 later this month. Currently, only the main free-to-air broadcasters in the UK have confirmed their availability on the < free time > platform by the end of the year, with BBC and ITV (through BBC iPlayer and ITV Player) set to be accessible from the launch of the new Freesat+ box, while Channel 4 and Channel 5 (4OD and Demand 5) will join in later months. 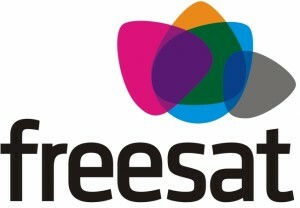 Freesat also noted that they intend to bring further connectivity to their audience’s experience, with the introduction of an official smartphone and tablet computer ‘companion app’ which will allow users to pause and rewind live TV on their set top box from a distance, with the connected devices serving as a potential back-up remote for the system. One that has been confirmed, though, is the < free time > catch-up platform. Will the ‘backdating’ viewing approach help them to compete in a quickly developing TV market, and could it lead to their new method being seen as the catch-up trailblazer?